Established in 2013 by a gift from Dr. Earl M. Tapley in memory of his beloved wife, Ruby J. Tapley, this center is located in William Graves Hall, Room 329. This space provides a welcoming and open atmosphere for students to study, prepare assignments, or relax between classes. 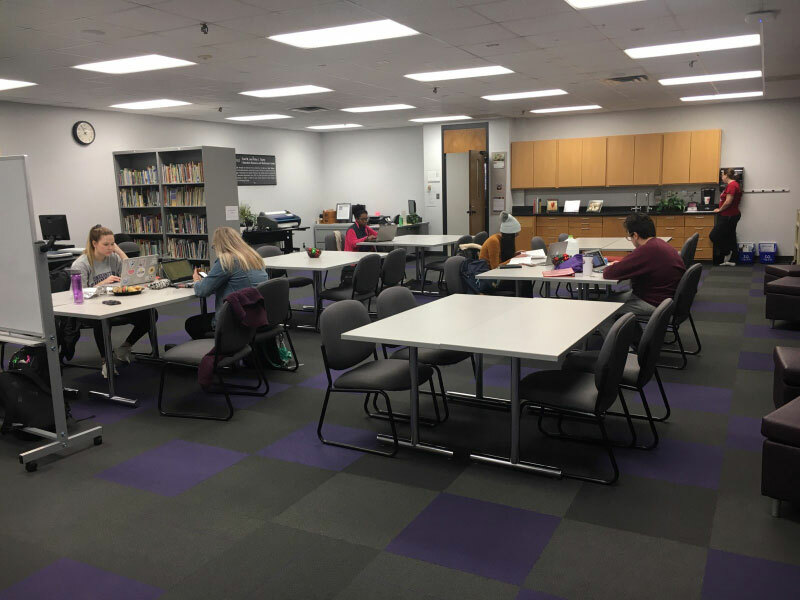 Students from across campus, and especially those who have classes in the College of Education and Health Sciences, enjoy the many resources available for their use in the Tapley Center. The Tapley Center, fully renovated in 2018, offers six computer stations with printing available through PaperCut, two scanners, a copy machine, digital equipment such as cameras/recorders, a laminating machine, a binding machine, a die cut machine, and ample table space for student group work or meetings. There are also many texts and books available for checkout or in-room use by students. Education students recognize the importance of technology in the classroom. Two Promethean Boards are available within the School of Education for students to use and practice delivering education lessons. Guest speakers often visit campus to present topics such as the use of technology in today’s classrooms. If there is a campus closure, the Tapley Center also closes.